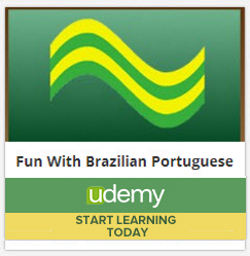 So it's the fifth largest country in the world, but what else is remarkable about Brazil? Well it's the largest country in South America, and while it crosses the equator, it's unique in that Brazil is the only country in the world to cross the equator and have contiguous land outside the tropics. 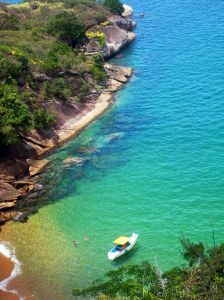 This is thanks to Brazil's long length; the coastline spans a vast 4,578 miles! The only South American countries that Brazil does not share a border with are Chile and Ecuador, so this gives you another idea as to how large this country is. We think of Brazil as beaches and rainforests, and while these are in abundance, the country actually has a total of five different ecosystems, so there really is a lot to explore here. From coastal lowlands to highlands and mountains, the scenery is spectacular everywhere you look, and the highest point, Pico da Neblina, stands 9,823 feet high and is right in the north west of the country. Let's not forget the Amazon, one of the longest rivers in the world, and the immense rainforest that surrounds the Amazon Basin. Can you believe that this rainforest constitutes nearly half of all the world's rainforests as it is so large?! Brazil is the fifth largest country in the world. Its coast stretches for 4655 miles. The coastal area boasts hundreds of stunning white sand beaches, lagoons, sand dunes, mangroves, and spectacular coral reefs. These and other natural wonders combine to help make the country one of the top tourist destinations in the world. Brazil has a land area of 2,287,612 square miles, making up nearly half of the South American continent. It shares borders with 10 countries - all South American countries but Ecuador and Chile. Due to its immense size, the geography of Brazil is a fascinatig study. The entire country is humid. The North is mostly hot with a tropical climate. The southern portion of the country is more temperate and subtropical, sometimes falling below freezing. Snow can be seen in mountainous regions anywhere from March to December, but primarily from June to December. Most of the country averages 39 inches to 59 inches of rain annually. The majority of rainfall occurs from December through April, Brazil's summer season. There is actually a dry season in the Amazon rain forest for 3 to 5 months each year. Northeastern Brazil often suffers droughts. The Amazon basin lies in the north and west area of the country. It also extends into neighboring countries. This area of the country receives an average of over 80 inches of rain annually. A large system of rivers drains the water. All of the principal rivers feed the Amazon River, which carries the water to the Atlantic Ocean. The Amazon River runs for 2246 miles inside Brazil. It is the second longest river in the world. Most of the river within the country can be navigated. The Amazon rain forest thrives due to the large rainfall. This area is one of the most ecologically diverse habitats in the world. 20% of the world's animal population lives in the Amazon rain forest. 1000 species of birds, 3000 fish species, and many mammals and reptiles call this forest home. Some of the many animals include manatees, freshwater dolphins, and alligators. Unfortunately, the Amazon rain forest is shrinking rapidly. The rain forest loses more than 50,000 square miles-about 4% of its total area-annually. It is being cleared for commercial use and other similar purposes. Brazil has two main mountain ranges, both located in the southeast. 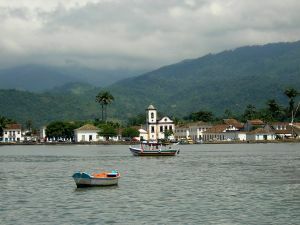 The Serra do Mar Range runs along the Atlantic coast. The Serrado Espinhaco Range runs through the south-central portion of the country. The average elevation of these mountains is less than 4000 feet. The highest point is Pico de Neblina at 9888 feet. An immense plateau called Planalto Central is nestled in the mountain ranges. During the late 1950's, Brasilia was "manufactured" to serve as the country's capital. Previously nothing existed on the land but the Mato Grasso plateaus. The population today exceeds 3.6 million people in the municipal area. It ranks sixth in the country in terms of metropolitan population. Two people preplanned nearly the entire city. LÃƒÂºcio Costa served as the main urban planner. He zoned areas of the city for specific uses and fashioned the streets to accommodate traffic efficiently. 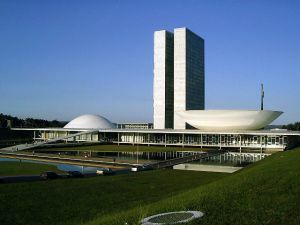 Oscar Niemeyer was the chief architect. He designed most of the public buildings.